CHARLOTTE, N.C. – Denise Mackey has been named director of marketing, memberships and events at Olde Sycamore Golf Plantation. Mackey joined the club in early May and is eager to spread the word about Olde Sycamore, an upscale semi-private golf club and community that straddles the line between Mecklenburg and Union counties. Mackey is in charge of all aspects of marketing the club to members and the public. She also handles membership sales, corporate outings, charity tournaments and special events, such as weddings. “We have excellent facilities to host a variety of functions,” she said. Mackey has a background is in sales and marketing. 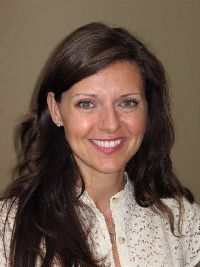 She came to Olde Sycamore from a medical sales position with American Home Patient in Charlotte. Prior to that, she was sales manager for Levy Restaurants, where she handled many of the events held in Founders Hall in uptown Charlotte. A native of Rock Hill, S.C., Mackey holds a degree in organizational communication from Queens University of Charlotte. Olde Sycamore Golf Plantation is professionally managed by Signet Golf Associates of Pinehurst. For more information, call (704) 573-1000, or visit www.oldesycamoregolf.com.